Yes, today in one week I can again train with my favourite "Monday-running-group" ;) What a nice feeling that soon there will be warm weather with a lot of sun and big hills for my daily training sessions! But also here in Tampere life is good! 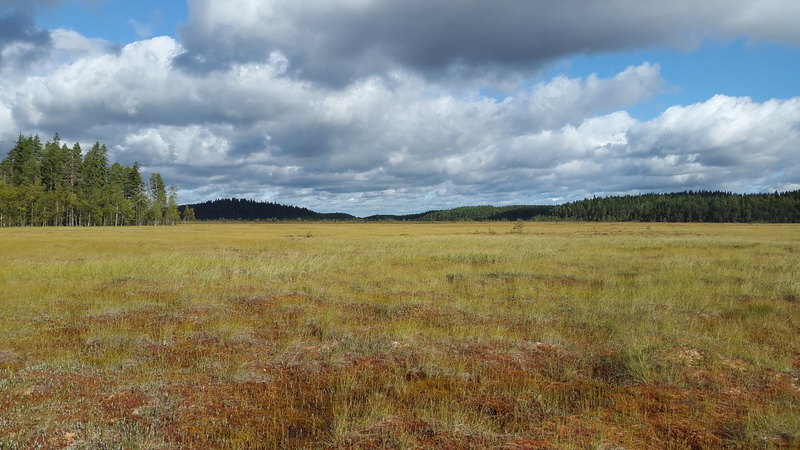 After a "control-picking"-training in Pulesjärvi on Friday (yes we have already been there several times, but it is was still a new challenge), we went to one of the biggest (or maybe also the biggest?!) 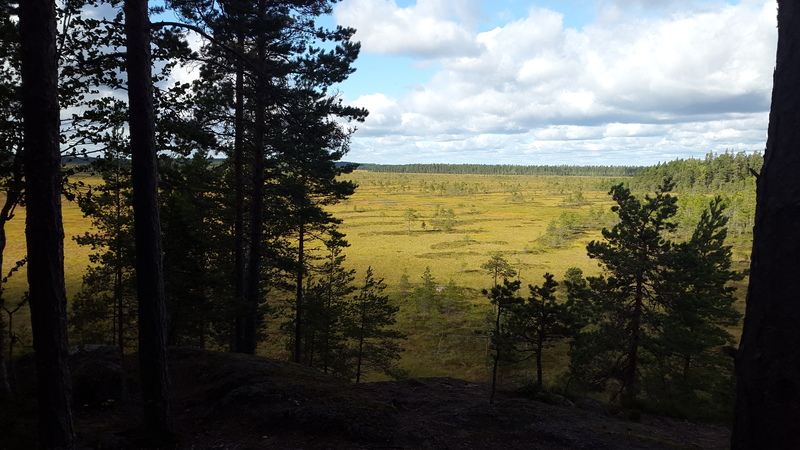 marsh in Tampere-region. There are some small paths and tracks in the forest and marsh, so you are able to walk through the whole area. 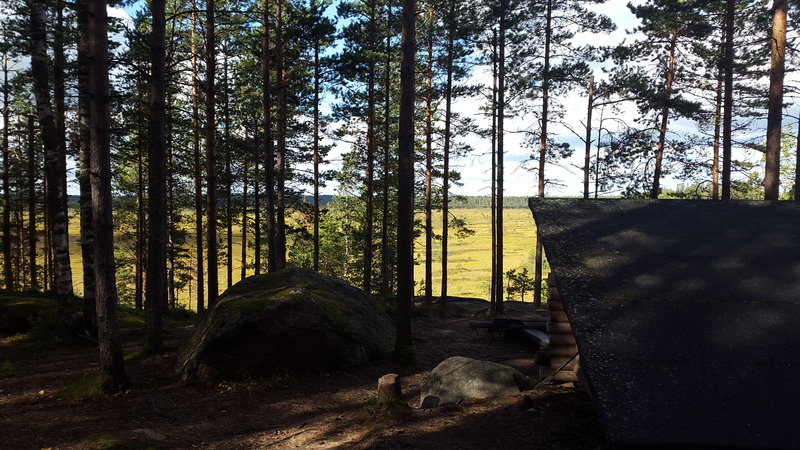 Even though the wind was a bit annoying, we spent some happy hours there with hiking, eating and burning ;) marshmallows. Later on, we drove again to Koivuniemi to watch the WOC-relay. Really bad luck that the hard wind destroied the power line, so there was no electricity for us (as Koivuniemi is really out in the sticks...). Luckily Anni's grandfather knew where to get electricity from and connected the car to the TV! (the food was then prepared in the sauna). Therefore we spent a nice time watching the relay and eating delicious cake. To get the car running after using its electricity for about three hours was the next challenge. Luckily we also succeeded there and got savely home after a long day. On Sunday we went to Helsinki in the early morning for the eGames-Longdistance. It was totally worth it, as the terrain was like in a fairytale! Running over bare rocks is always fun and I really enjoyed to navigate from hill to hill. Even though I made a very stupid mistake I was happy in the finish. Another great day had passed and I realized that those days are the reason why I am in Finland right now. The feeling to run in nordic terrains and then enjoying the atmosphere in the finish area is just great and I am very thankful that I have the possibility to experience those moments. A big thanks also to my parents who have made this possible. I can't wait to see you next weekend after five weeks in Scandinavia!